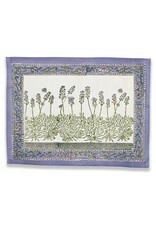 Couleur Nature Lavender Placemats - Miam! With its amethyst, chartreuse and pink, the Lavender Collection is a quintessential element of any French Country décor scheme. 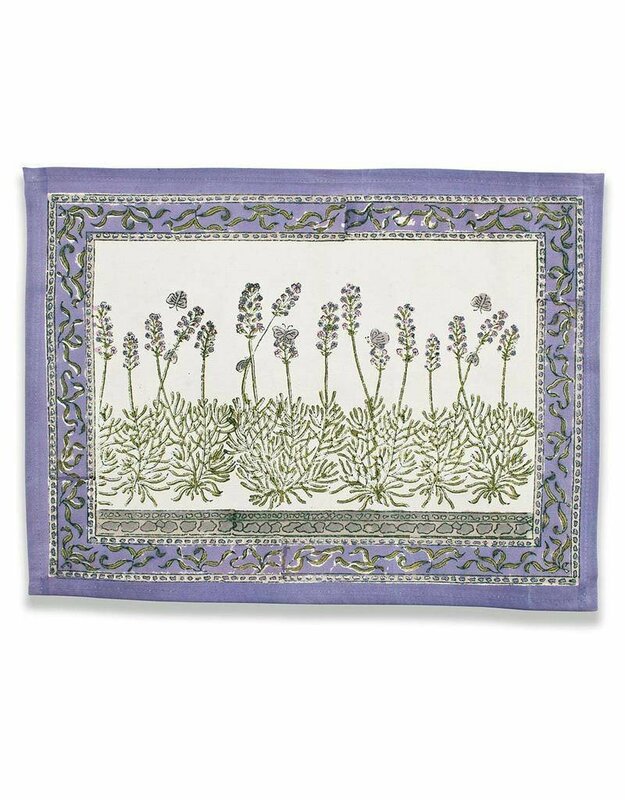 Add a bit of France to the home with one of these Provencal-inspired placemats. Fine French table linens, hand-printed. Designed by Bruno Lamy exclusively for Couleur Nature. Our fine linen table placemats are a great way to refresh your table, adding color and vibrancy to every day or formal settings. Designed exclusively for Couleur Nature by Parisian artist Bruno Lamy. These linens are handmade: slight variations are natural and make each piece unique.